Every year, right around this time, I get the uncontrollable urge to make huge batches of soup. Just like the squirrels somehow know that it's time to store up their acorns, and the leaves somehow know to change color (don't try to enlighten me with real science on this topic- you'll waste your breath), I know that I cannot rest until our fridge is crammed full of soup. It's pure instinct- like "fight or flight" (only it's more like "bisque or borscht"). This year, my soup compulsion happened to coincide with the arrival from our organic produce delivery service of a huge bunch of chard. After trolling the Internet for chard soups, I combined elements from a few recipes to create my own delicious Frankenstein monster of a soup recipe with not just chard, but cannellini beans, bacon, pastina, and sage (so, basically all of my favorite things). You'd be hard-pressed to find an easier or quicker recipe (and still be able to call it "cooking"), and it will satisfy all of your soup-making urges. Best of all, this soup is hearty enough to be a whole dinner- just serve with a salad or a crusty roll. Or dinner every night for a week, as JM and I have. My instincts tell me you're going to love it. Step 1: Finely chop the onions and bacon into no larger than 1/4-inch cubes. Finely mince the garlic. Step 2: Put onions, garlic, bacon, sage, parsley, nutmeg and pepper flakes into a large saucepan over medium heat and cook, stirring occasionally, until onions are softened, and bacon is mostly cooked, about 5 minutes. Step 3: Add beans and broth, increase heat to high, and bring to a boil. When soup boils, add pasta and reduce heat to medium-low, and simmer for about 5 minutes. Step 4: Meanwhile, prepare the chard. Remove the woody stems, and chop the leaves into 1-inch squares. Step 5: Add the chard to the pot, stir and simmer until wilted, about 4 minutes. Step 6: Dish soup into bowls, and top with Parmesan. Enjoy! I'll admit it: I'm hard on my clothes. In order to claim a spot in my wardrobe, an item has to stand up to dog hair, cooking splatters, weird cleaning concoctions, and very cramped conditions in my tiny NYC-sized closet. And, arguably, my shoes get it twice as bad (since they have to deal with all that, plus being walked on). It's that time of year where I'm putting away my sandals until spring (so long, my darlings! ), and pulling out my boots and winter heels. In fact, in my misspent youth, I used to just buy cheap shoes, wear them until they were destroyed, and throw them in the garbage at the end of the season. But ever since I met JM, I'm rethinking this strategy. My dapper husband only buys about one high-quality pair of shoes per year. He keeps them carefully shined and taken care of, and has them resoled from time to time. It turns out that cobblers are nothing short of footwear miracle-workers. I swear to you, my husband has eight-year-old pairs of shoes that look brand new (meanwhile, I have eight-month-old pairs that don't even look like shoes anymore). Before you rush out to buy a whole new fall shoe wardrobe, take another look at those kicked-around shoes in the back of your closet. Here's just some of the things a good cobbler can do for you. No sole-searching required. Stretching: If your shoes are too tight, you can have them stretched (up to a full size) for short money. No more pinched toes! Leather Repair: A quality tailor can fix cracks, tears, scuffs, and scratches in leather to make them almost invisible. And they can clean and revive battered suede. Resoling: If you find yourself with a Charlie Chaplin-style hole in your shoe, it's probably because you love those shoes. Fear not- a cobbler can replace the whole sole for a fraction of the cost of a new pair. Reheeling: If you just can't stop yourself from wearing stilettos to a garden wedding (I've been there, sister), you probably have torn and grass-stained heels. A good shoe repairman can totally clean and patch those heels. So you can wear them to another garden wedding. Dyeing: If you have a pair of white pumps leftover from a wedding (or the '80s), but you still like the shape, you can have a cobbler dye them any color you want, whether they are fabric or leather. So give those shoes a new lease on life. Get it? 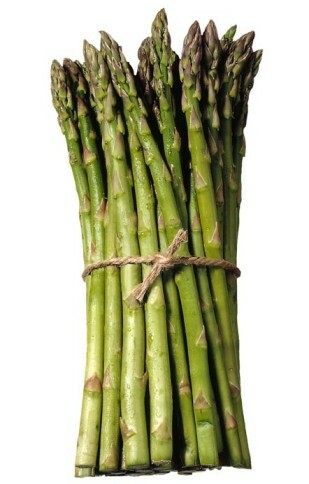 Because asparagus spears have tips and I am going to give you tips about asparagus. See what I did there? Now, let me ask you this: Is there anything better than asparagus? Pungent urine notwithstanding, there is something so wonderful and fresh about this lovely veg. And it tastes so good with everything- you can throw it in a salad, an omelet or pasta, and it's obviously a great side, too. Technically it's in season in the spring, but it's widely available all year, which is good since we eat it at least once a week. However, to really enjoy this awesomeness, you've got to know a little bit about how to choose and prepare it. Here are some tips for how to enjoy your asparagus to the fullest. 1. Look for straight, bright, crisp green stalks without any wilting, brown spots or wrinkling. Look for tips that are tightly formed, and dark green or purplish, with no soft or liquidy spots. If you still can't tell, take a whiff- it definitely shouldn't smell gross (or really much at all). Try to buy bunches with stalks that are roughly the same thickness- that way they will cook uniformly. 2. When you get the asparagus home, slightly trim the ends, and place upright in a stable container with an inch of water at the bottom (like bouquet of flowers), and keep in the fridge until you are ready to use. I swear it will stay fresher longer this way! 3. To avoid cooking the woody stems, use this tip: Instead of cutting off the ends, hold the stalk of asparagus at both ends, and exert gentle pressure to snap the stock. It will naturally break exactly where the tough internal fibers give way, leaving you with just the most delicious tender part. 4. Asparagus is delicious steamed or grilled, but my favorite thing to do is boil it (you'll know it's done when the stalks turn a uniformly grass-green color and you can insert a fork into the stalk without difficulty). Top with a little butter, parsley, and fresh grated lemon rind. You won't want to eat anything else ever again. Earlier this week, I dropped my phone, shattering the display glass (prompting my ever-so-tactful husband to sigh and say, "maybe you just shouldn't own fragile things"). After I shot him a steely glare of fury, I decided that instead of paying someone to repair the phone, I would do it myself (in my typical, frugal, DIY way) using a kit I got off the Internet, and instructions via Youtube. I have a good sense of the mechanical, and better-than-average fix-it skills, and the nerds in the video made the repair process look like a breeze, so I really thought I had it in the bag. But as I was trying to pry the little fragments of broken glass off the phone, I heard an ominous crunch from inside the phone, which portended what I already knew to be true- I had made a bad situation much, much worse. All of this is to say that I had an unexpected major expense this week in the form of a new cell phone. In order to offset the cost, and for a fun little goal for myself, I decided I should try to recoup my loss by selling stuff from around the house. Drawing inspiration and advice from my friend Rachel, who has sold more stuff than Ron Popeil, I got out my digital camera, and set to work. 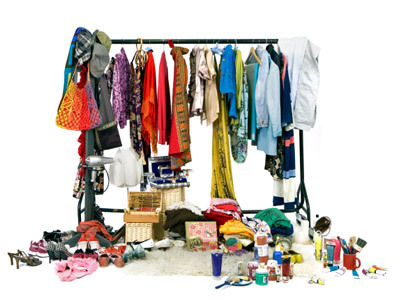 Here are the best ways to sell your stuff- even the junk you think is worthless- to easily get some quick cash. Remember, one girl's trash is another girl's brand new iPhone 4. Or something like that. EBay: I have long been an eBay buyer, but I recently took my first foray into selling. Almost anything you want to sell, you can find a buyer for on eBay. I mostly have sold clothes- anything brand name in good condition will fetch you at least a few bucks- just take flattering photos of the article on a hanger against a white background. Be honest about any flaws, and start the bidding low. I suggest listing a bunch of things all at once- people who like one of your items might check out the others, and you'll save yourself a bunch of trips to the post office when you ship them. Craig's List: If you live in a fairly metropolitan area, you should list your items on your local Craig's List. I have used Craig's List to sell old furniture and household goods. Again, nice pictures that show the item in a flattering light are a must. Check to see what the going rate is for similar items, and undercut it by a few dollars, and feel free to haggle with buyers. The benefit of this selling method is that the buyer will pick up the item from you (no shipping! ), but to be safe, you should meet them at a well-lit, crowded spot, like the coffee shop on your corner. If you are selling something large like a piece of furniture and must let the buyer in your home, make sure there is someone else there at the time- the world is full of freaky people, and one of them might show up at your door under the guise of buying your old boombox. Gazelle.com: If you have old computers, cell phones, iPods, video games, PDAs or other electronics lying around, Gazelle.com wants to buy them from you. They will even send you secure prepaid packaging in which to return it to them, so you don't even have to worry about postage. I sold them an old laptop that was totally dead and a Palm Pilot that I had in the 90s, and they actually gave me money for them. Ironically, they even bought the cell phone I trashed. Second Spin: You know how all of your music is on your computer now? But you still have stacks and stacks of old CDs lying around taking up space, don't you? Second Spin will buy your used CDs and DVDs for a decent price. So you can clear out those drawers or shelves of all those ugly plastic cases (and put money there instead). At Last Resort: If you have stuff you can't sell, but is still redeemable (i.e. a whole bag of gently-worn Old Navy tank tops), there's still one thing you can do- give it away. Take it to a non-profit thrift shop (try Housing Works in NYC, or the Salvation Army nationwide) and get a receipt so you can deduct the donation from your taxes. It won't technically make you money, but it might save you a bit come April. Plus, it might actually help someone else out, too. 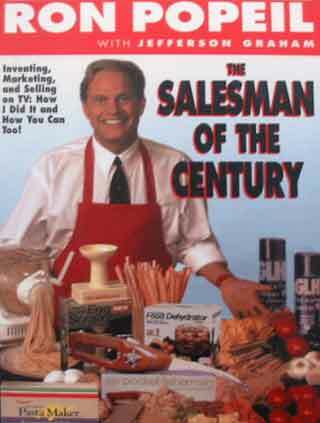 If you have never tried selling things, you'll be amazed at how fun, and oddly addictive, it is. Give it a try- I foresee your closets getting less cramped, and your wallets getting more so. Here's a real quicky tip because it's Friday, and I know you're busy and trying to get things done before the weekend, and I'm busy, and really distracted thinking about bananas. Wait, what? You heard me- bananas, people. 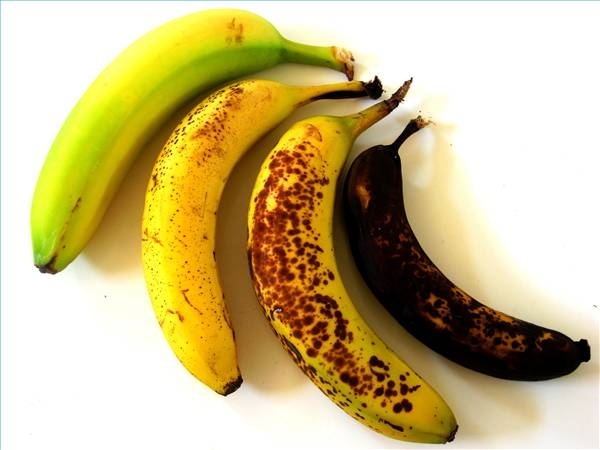 You know how, no matter what you do, you always seem to end up with one or two overly-ripe bananas at the end of the bunch? It's not really such a bad thing, because it gives you an excuse to make delicious banana bread (you can also freeze them for making smoothies later on), but it's kind of annoying how fast those nanners ripen, right under your nose. So here's a tip for delaying the speed at which those suckers turn brown and narsty: Separate them. You don't have to, like, put each banana in an opposite corner of the room, just keep them from being so snuggled together. Each banana gives off ethylene gas and enzymes which cause all the other ones to get riper faster. If you break all the bananas apart at the stem when you get them home, you will delay the ripening process. So, you want your bananas to stay just right for longer? You gotta keep 'em separated.